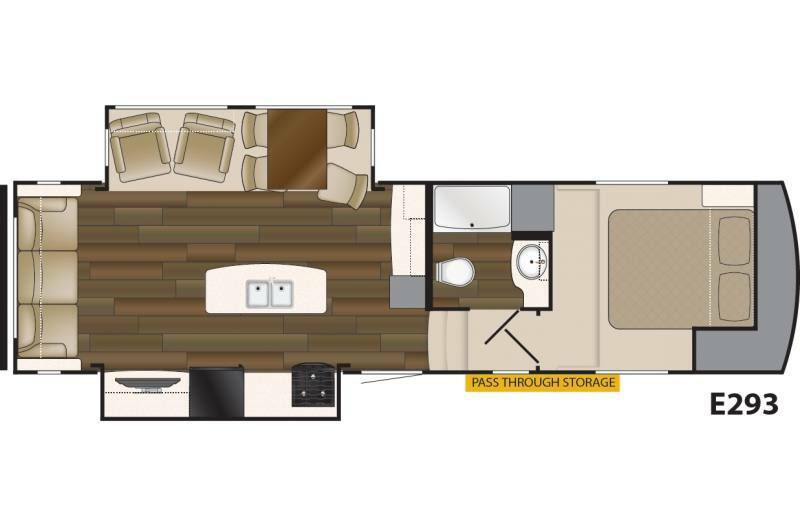 2018 Heartland E293 5th wheel is a great floor plan with all the space you need to make your camping experience great comes with heated enclosed underbelly, large refrigerator, exterior speakers, power awning and much much more. Come check it out today or call us for trade appraisal or pre approval lets get you out camping today. 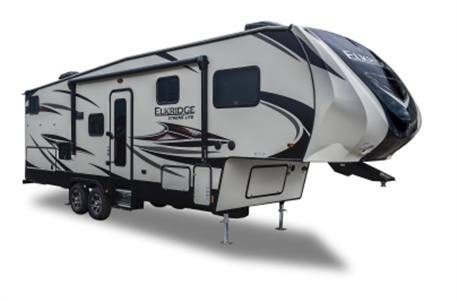 ElkRidge Xtreme Light offers the INDUSTRY's first, low cost 5th wheel. The Xtreme Light is priced like a travel trailer with the features of a 5th wheel. Xtreme Light offers taller ceilings, easier tow-ability, and faster hook-ups. Explore roomy bathrooms with vaulted ceilings and functional space. Relax in well-designed living areas and dinettes. ElkRidge Xtreme Light engineers have taken special care to utilize every space for storage without sacrificing the luxuries of recreational living. ElkRidge Xtreme Light designers have spent extra time planning the sleeping area that provides offset beds with more floor space for dressing as well as flip down headboards for added storage. Length: 31 ft. 7 in.